Theshay West | QUiRK TALES! You all (should) know by now that JADE NOVAH is a personal favorite of mine and I love everything she does; case in point, this girl just got me to actually tolerate a Kesha (I REFUSE to put the $ in that child’s name – fight me) song! In her new video for the latest cover collaboration with her extremely talented producer, DEVIN JOHNSON, Jade gives “Die Young” a bubbly and fun visual that makes you want to jump in your computer screen to join her and her friends in their ratchet expedition throughout Atlanta. You get accents, cute clothes and a vocal arrangement that slays those other singers with no effort – just watch the video, you’ll get it. Shout out to THESHAY WEST as usual for the impeccable directing and amazing HD quality – these colors POP! in this video. Jade Novah and her camp that includes the incredibly talented Devin Johnson and director Theshay West are at it once again! Remixing Rihanna’s latest single “Diamonds” in such a beautiful way, here is the visual to go along with it which is so artistic and great! I always love that we get a song and video from Jade each time – they never disappoint. Be on the look out for Jade’s album, In Search Of Me, which is coming soon and is sure to be an astounding contribution to R&B. It ain’t dead yet! 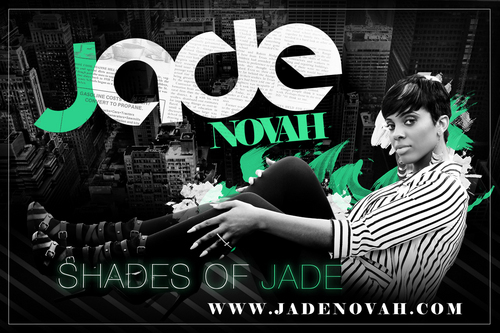 JADE NOVAH just does not know how to chill on slaying these songs she covers, sheesh! This time, we get an Adele double play with “Someone Like You/Set Fire To The Rain” with beautiful imagery accompanied with the amazing covers thanks the Theshay West. Shout out to Devin Johnson on the vocal production and be sure to come back here when her mixtape Shades Of Jade drops on May 21st! JADE NOVAH just dropped her latest cover and this one is a doozy! Check her out singing Beyoncé’s “Countdown” with vocal production by Devin Johnson and this lovely video directed by Theshay West. JADE NOVAH is back at it again! She covered Bruno Mars’ “It Will Rain” beautifully, so it should be no surprise that she attempt Chris’s “All Back” off his latest album F.A.M.E. With vocal production by Devin Johnson and guitar by Jelani Jackson, this lovely video – which was filmed and edited by Theshay West – showcases Jade’s broad range and is a winner in my book. This chick can blow; pay attention!